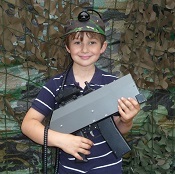 We offer safe science based birthday parties for children that are exciting, entertaining and educational. 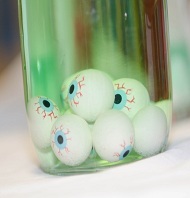 Our parties are full of experiments that are guaranteed to intrigue the minds of children and the watching parents. 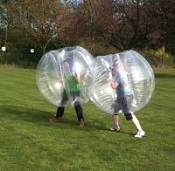 Our parties are full of whizzes, bangs and thrills! 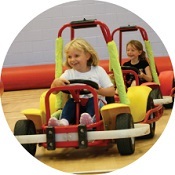 We can entertain a range of children's ages with experiments tailored to their age groups. We explain what is happening as we go along and make sure the birthday child(ren) are the main volunteers when we need them. 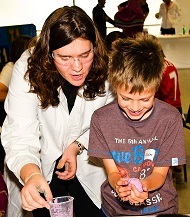 We want to ignite the imagination of all girls and boys at our interactive wacky scientist parties. 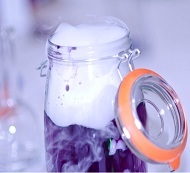 Plus we use Dry Ice at all of our parties and even make Dry Ice Ice-cream! Our parties are one to two hours long and have an educational theme to them that combines the fun demonstration of experiments with practical experiments that the children can do. Every child goes home with something from our parties. We offer catering, party bags and birthday cakes, but you are more than welcome to provide your own. We have a wide range of experiments that we perform in the front of the children. We mix and match all experiments so hopefully two different parties are never quite the same. We are based at Parrs Wood High School in Didsbury, Manchester (M20 5PG) and we are available on Saturdays. We are unable to travel to other venues at the moment. 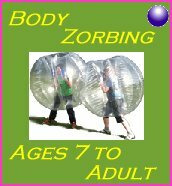 Site design and graphics, Copyright Redmox Leisure, 2006-2017. All rights reserved.